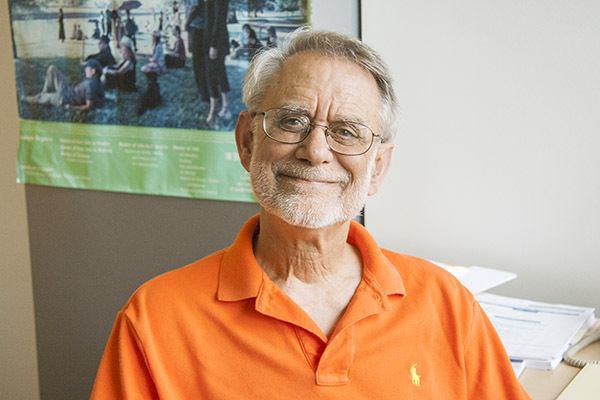 David Van Zanten, Professor of Art History at Northwestern University. He spoke with me about three ways (personal, written, and unrealized) of understanding the history of architectural sites in the context of the geographic area around the MCA. Van Zanten's ruminations start and return full circle to a 1997 Peter Eisenmann studio at the University of Illinois at Chicago where the students' assignment was to design the MCA while taking into account the history of the site. The museum had opened in that new location the previous year. 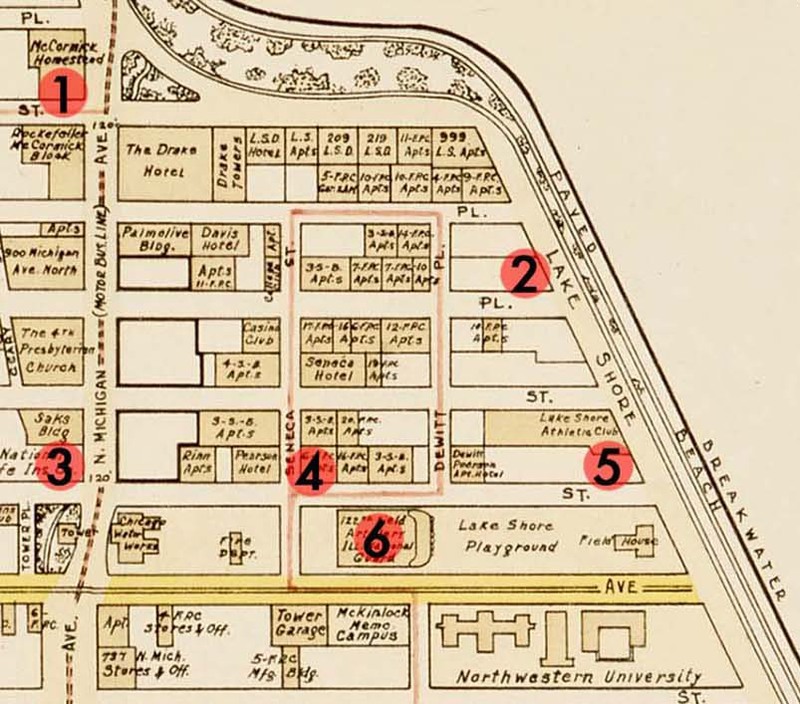 The numbered points on this 1928 map reference some places Van Zanten mentioned in our conversation and illustrate the extent of the development of the area at that time just before the Depression. 1 - The McCormick family homestead, which gave the area its name of McCormickville. 2 - Mies van der Rohe's 1951 860-880 Lake Shore Drive apartments. 3 - The site of Frank Lloyd Wright's proposed National Life Insurance Building, "all glass with copper fittings, about 30-40 stories tall, absolutely revolutionary." 4 - Mies van der Rohe's apartment where he lived for 30 years. 5 - The site of Frank Lloyd Wright's unrealized 1931 apartment towers. 6 - Chicago Avenue Armory / site of today's MCA. David Van Zanten also mentioned architect Andrew Ribori, whose proposed Michigan Avenue arch would have changed the face of the area. Ribori designed the 1917 Lake Shore Park Fieldhouse. Ludwig Mies van der Rohe died in 1969, having lived his last 30 years in an apartment on a corner that now overlooks the Museum of Contemporary Art Chicago. 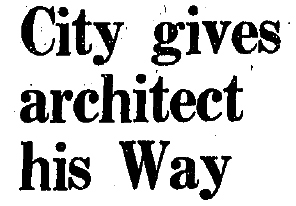 In May 1986, on the 100th anniversary of his birth, Seneca Street was renamed Mies van der Rohe Way.